We support both Open-source project and commercial projects. We registered a project on Sourceforge to handle supporting the X-HYP project. If you need professional support you may want to contact us through: support@x-hyp.org. 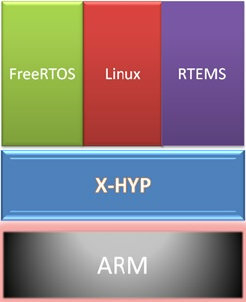 We can help you developp your opensource application, project or port on X-HYP free, according to our GPL-V2 license. If you wish to developp a commercial application using X-HYP we also can support you. You may want to look at our licensing possibilities allowing you to developp a commercial application without constraints of the GPL.